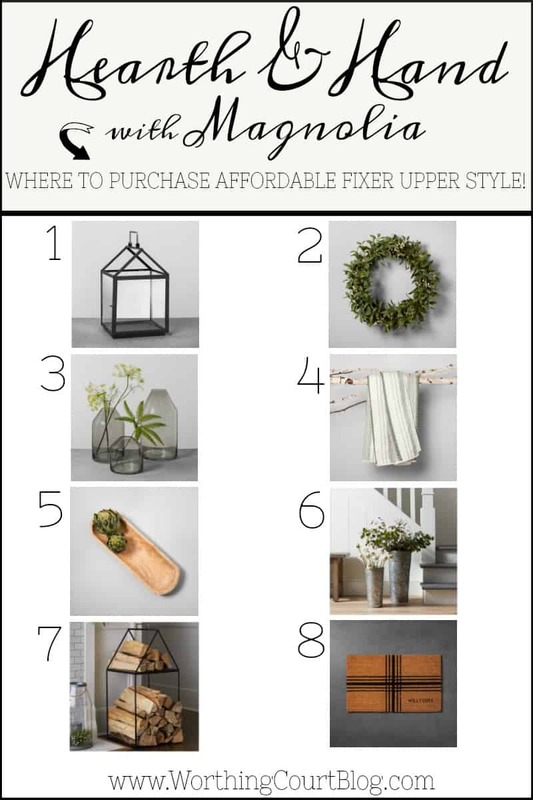 If you’ve been craving the Fixer Upper look for your own home, I’ve rounded up an amazing selection of affordable Magnolia Hearth and Hand decorations starting at under $5! Y’all! Have you heard the news? Joanna has come to Target! Well…not Joanna herself, but it may as well be her, in my book. 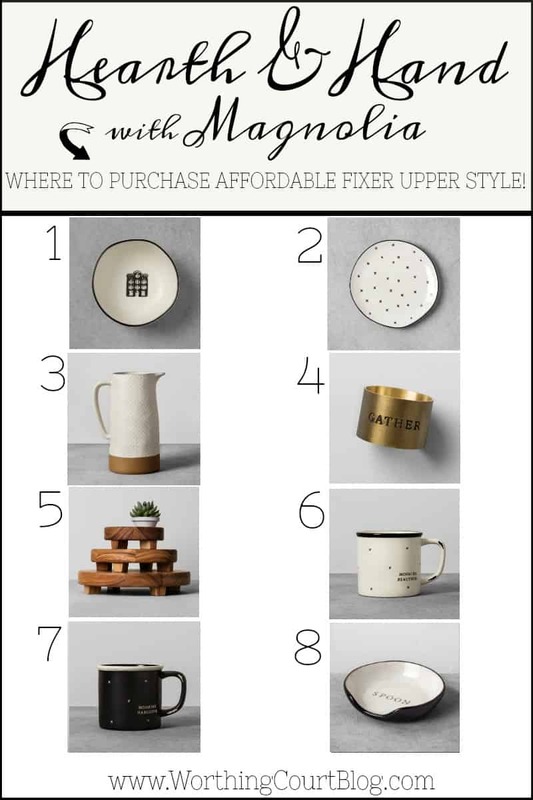 🙂 No, what I’m talking about is that as of November 5th, Target started carrying a new line of Fixer Upper type decor called Hearth & Hand With Magnolia! Here’s the awesome thing about it – this will be a permanent (as permanent as anything can be in retail) line at Target. Not just a once and done, flash in the pan, get it as soon as the doors open or forget it line, like Target did with a famous designer a while back. 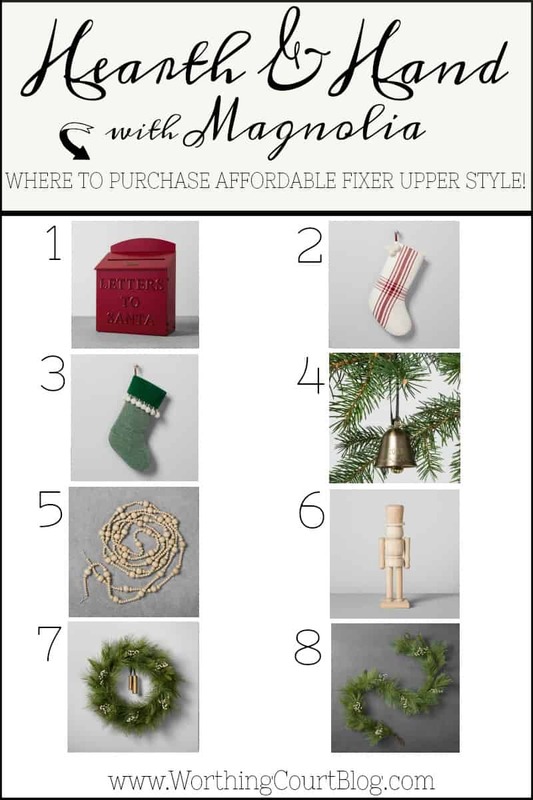 Secondly, the items in this line are very affordable – I’m talking Target price point affordable – as in starting at under $5! You probably already know that Magnolia has a line of furniture, pillows, rugs, etc. that are sold in furniture stores and other retailers, but I’ve found them a bit pricey, to be honest. And thirdly, the Hearth & Hand collection is extensive! I’m amazed at how many products are included in the line. I was expecting only a few choice items, but no – there is a wide, wide variety of products available. Oh yeah – there’s Christmas decor too! I’m doing my shopping online because I’m pretty positive that the stores will be crowded and the shelves will be picked over pretty quickly. Let me show you what’s on my rather extensive wish list. 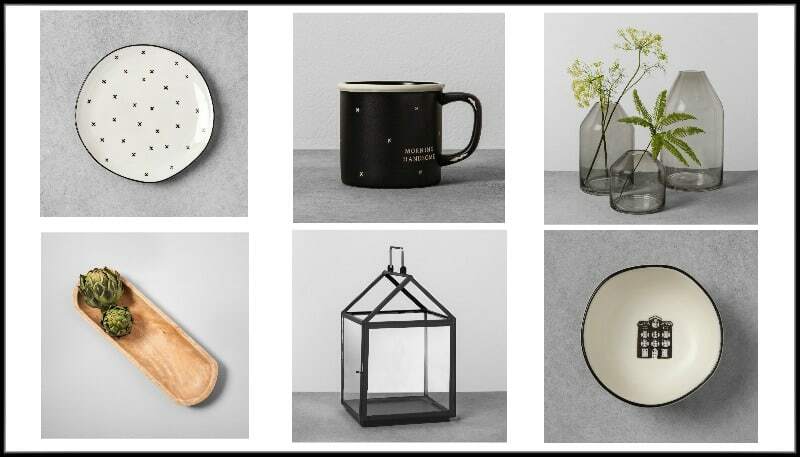 So extensive, in fact, that I’ve broken it up into three parts – Home Decor Accessories, Christmas Decor and Kitchen and Dining. How fitting that the premiere of Magnolia’s Hearth & Hand line coincides with this month’s Reader Appreciation Giveaway for a $100 gift card! Click HERE to read the entry details. and hope to purchase more soon. Will be heading to Target for a look. So wonderful everyone can have a touch of Magnolia Home. Target here I come. Thanks for sharing. Enjoy your day. I have been looking at the Target Magnolia Home products on line also. So smart to order and not have to fight the crowds. Thanks for sharing these great and affordable items! I just love the look!!! Wow! Joanna and Chip are everywhere. So happy for them! It’s so exciting that Chip & Joanna have joined with Target to have Magnolia Home items for all of us to be able to see and buy. Many things to love. So glad many are affordable. I love the Joanna touch! It is so wonderful & comfy. It is great we can all enjoy a little of her style by shopping on line or stopping by a Target. Hearth and Hand! I’m going shopping!!! Haven’t been to Target in ages. I need to check out the wreaths as I have been unable to find just what I want anywhere else. love her style of decorating and am going to miss them after this season!! I love that lambs ear wreath! You’re right about things selling out quickly! The first item I looked up was out of stock at All Targets within 50 miles of me!! Love SO many of the items. The wooden beaded string/garland is not in stock… anywhere. Wonder if it didn’t make it for the opening? I love that big pitcher! And, I have a Magnolia candle that I received as a gift and the fragrance is WONDERFUL! I bet the candles at Target smell great, too! Such simple designs–pretty! It’s a shame that it seems they overextended their businesses and have to drop out of the one that brought them such success. Although I do understand it’s hard to have a TV reality show with kids. Going to miss that peaceful, fun, squeaky clean program! Love them! For those of us on SS the prices aren’t that reasonable but still doable after saving for few weeks maybe. Have to go quite a ways to get to another Target where we live and this time of year is bit chancy regarding weather and traveling. Am not going over. Rockies to Denver so will need to go to Delta, (do they have a Target? ),or Montrose, would feel safer going down there. So much to want but will look online to see what I think can’t live without for my first Hearth and Hand purchase. Have fun bloggers. Congrats on the magazine. Love magnolia things,I have ordered a few items from them and they were as pictured. The flower stems are very nice quality. I, like most everyone else, love most everything that Chip and Joanna come up with. I have already seen some really good deals in their Target collection. I can’t wait to check out the new Magnolia line at Target. I like your picks! I really love that artificial pine wreath with bells. I will be looking to get something like that for my front door this winter.